I want to have an open and honest conversation with you this week about fear. Now, I’ve talked about this before, but I’ve been thinking about it differently, and seeing it show up a bit differently in you, lately. I want to call this out! 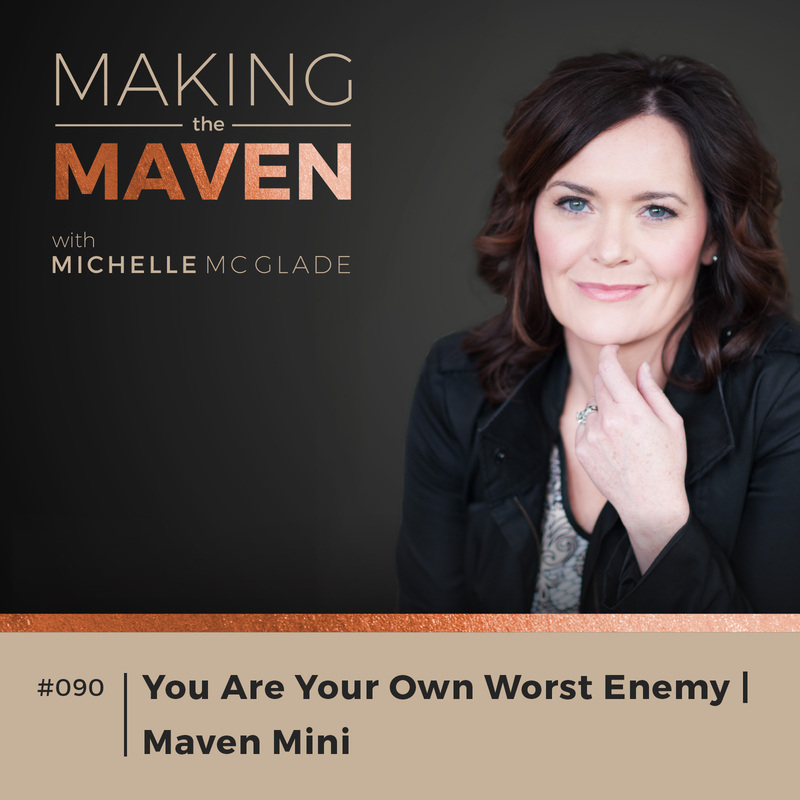 You are your own worst enemy, especially when it comes to getting the success you desire in your business. I know a lot of you have fears about becoming visible, and having the spotlight shine on you. Believe it or not, I, too, suffer from this having grown up a very, very, and I mean very, shy child! I know, as a new business owner, you might be lacking confidence, and this too, is affecting the way you want to show up in the world. I understand! Those are real fears. However, with the right support and guidance, I know that you can show up and shine! So, this week, I really want you to think about where, and how, fear is showing up differently for you. How is fear affecting your business? Really dive down and ask those questions. So, some of the things I’ve personally noticed with my own clients, is that they 1) tend to obsess over making their website perfect. It’s important yes, but sometimes you just need to take action because done is better than perfect! Sort of a tag onto this perfectionism is 2) trying to polish things up and having everything well-presented. By the way, I’ve made these mistakes too, so I totally get it! Another thing is that a lot of you who are just getting started in this side hustle have your ‘real job’ to go to, whether that be at a company you’re not passionate about, or being a full-time caretaker in your household. So, sometimes you’re not as free as you’d like to be, to work on this side hustle 40-hours a week, but that’s okay! It doesn’t have to take 40-hours a week to get things done. However, it does take some planning and scheduling. So, if you value your business, make time for it, even if it’s not as many hours as you want. Because remember, if you don’t actively and consciously make time for it, it’ll never get done! Take ego out of the equation, and find your inner CEO. You’re already born whole. 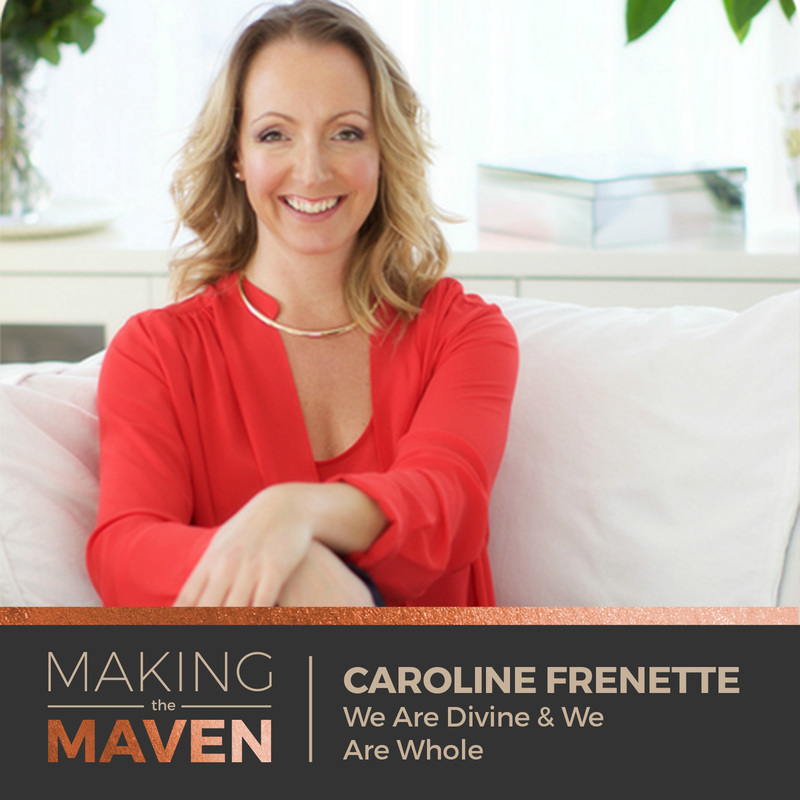 Caroline Frenette is a Certified Advanced Transformative Coach® (A.K.A. Supercoach) and is the founder of The Insight Mastermind. She is also the creator of the 12-week online program From Broke to Blissfully Booked. Caroline reached out to me initially, and I’m so glad she did! On today’s show, Caroline talks about the importance of taking your ego out of it, finding your inner CEO, and so much more! *Get out of that hamster wheel of information gathering! Get out there and do it! *Who is Caroline? She was born an entrepreneur! *Caroline’s clothing line made it on the cover of Elle magazine and more! But she was still struggling. *Caroline was fed up! So, instead of giving up, she decided to pivot her fashion brand, and cater to yogi’s. *Unfortunately, Caroline had to let go of her clothing business, and she told one of her coaches that she didn’t know if she would be able to stop crying. *When we’re afraid to make a move, when we’re settling for less, sometimes you just have to jump into the unknown. *All ‘that work’ that’s ahead is just you battling with your ego. The ego loves to make you worry! Take a step back, calm down, and then do. *Change does not have to take time. Literally, you can wake up and be a renewed person. Don’t let ego stop you from living your true self, your inner CEO. *How can practitioners get over their relationship with money? I had the opportunity to speak with 6-7 individuals last week (not my clients), who were just getting started in their business, and here’s the picture I want to paint for you. These individuals told me the same story, over and over! Most of them had started their business at the beginning of this year, and none of them were able to get one client from it so far. And it doesn’t have to be that way! Listen to the end of the interview to hear some of my tips to get out of the rut! A lot of questions about ‘breaking the motivation barrier’ come up in my Maven Inner Circle, and I just thought I’d like to share some thoughts on this today. So, how do you get motivated when you’re feeling very unmotivated? How do you get your mind in the right place? These questions couldn’t come at a more perfect time. I interviewed Kevin Breeding on this very topic (mindset) this week, and you must, must check it out if you haven’t heard it already. Listen to a song that pumps you up. Get up and dance to it!! Tapping or also known as EFT helps! Keep a journal. Save some of those highlights, and look at them when you’re sad/feeling low. Alright! That’s it for me. I hope these quick tips helped you re-ignite that fire when you’re feeling very ‘bleh’ about it all. Talk to you next week. Mindset work is one of the top 3 things that help entrepreneurs with their success. 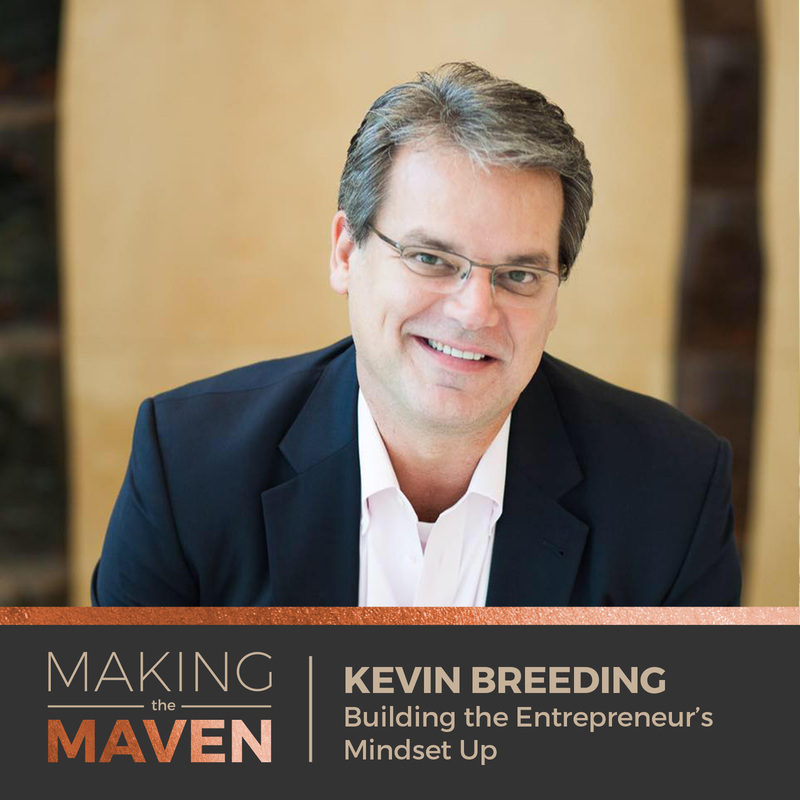 Kevin Breeding is an entrepreneur mentor and coach. He is also the creator of The Mindset Engine. Kevin found the powerful effects of having the right mindset, shortly after going through a very ugly divorce. When he was able to get his head to think ‘right,’ overnight he saw business opportunities and new doors open for him. Mindset isn’t just about thinking positively either, it’s something that flows through your entire body. Find out more about this topic, on this week’s episode! *Is mindset just a buzzword? *By the way, I have a new free gift for you! *Who is Kevin, and how did he get into entrepreneurship? *Where does mindset come into all of this? *Once Kevin made a mindset shift, business opportunities began coming to him. *Mindset seems really ‘trendy,’ right now. *When you have a good mindset, you ooze out a vibe that attracts people. *How does Kevin help clients break free and get clarity? *You have to come from a place of why. Because why will keep the fire and passion still alive inside you. *Don’t have time? You might want to rethink your priorities. *Why are people having so much trouble starting? *Money simply can’t fix ‘you.’ You have to fix you. *What is Mindset Engine about? I see the mistakes over and over again. However, the answers and solutions are so very simple, if you get focused and clear. I want to let you guys know about the new freebie I have out. It’s called, ‘How to Get Started.’ I offer three easy steps for wellness practitioners who just feel stuck. Please check it out and let me know what you think! Helllllooo! For today’s Maven Mini, I’m going to be sharing some thoughts on the The 4 Different Types of Buyers that step through your door. When you’re promoting a big event, or about to have a launch, you have to think about the different types of buying behaviors. Not everyone uses the same thought process when they’re about to purchase something. We all have a buying type! I’ve been noticing lately that a lot of people don’t think about this very important aspect. I mean, to be absolutely truthful, I didn’t even think about this stuff when I was first trying to launch products on the online world either! You have the spontaneous buyer. People who don’t really think about what they’re buying too much. They just buy it and maybe forget about it. They might not even read too much into what they’re getting. The methodical buyers. These are the kinds of people who ask a lot of questions. They’ll ask question after question. The way I cater to these people is whenever I’m launching something, I keep a FAQ within the email to help answer their questions. The humanistic buyers. These are the people who are moved by story. They want to know your story and how it came to be. They want to know your journey or even the journeys of others. Their buying behavior is directly impacted by how good the story is. The last ones are the buyers who procrastinate. They are the people rushing in last minute to buy the deal. Cart is closing at 12am. They’re there at 11:59pm trying to buy. This is why it’s so important not to give up when you’re launching something, because there’s always a few last minute rushes towards the end. You really wanna push your emails out towards the very end. I send about 5 emails and I know others have sent out up to 7 informing their customers that the cart is closing! So, there you have it! The 4 Different Types of Buyers. Which one are you? Are you catering to all of these types? If not now, then I do hope you keep this in mind whenever you’re about to launch something big for your audience!